I have lots of apps for my iPhone but some of the best are time wasters that have no other purpose than to help me pass the time. 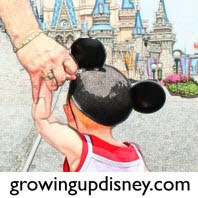 Here are just a few of my favorites for entertainment while in line at Walt Disney World or really anytime you are waiting around. Angry Birds: I don't know if you have played this game but it is a simple formula that proves to be highly addictive. The premise: you are birds who have your eggs stolen by a spherical, green pig-nosed creature. Naturally you being a bird, are angered by this theft. What are you to do about it? Well how about flinging your body at the enemy and destroying everything in your path? I know, fun right? With 165 levels active (30 more are coming soon) and at least 14 bonus levels you unlock from simple tasks and just pure Easter egg hunting, it is sure to keep you busy for quite a while. It is available for 99 cents for iPod/iPhone and $4.99 for iPad. If you just want to try it out, there is a free version available on iTunes. Fantastic Contraption: Another game I am hooked on is Fantastic Contraption. It is $1.99 on iTunes and is a game made for those inquisitive people who love to solve puzzles and to build unique locomotion devices to move an object from a starting area to a designated finish. This one requires a little more concentration than some other games so I don't know that I would play this one while standing in line. This is more of a “take a break, sit down and rest the feet and frustrate yourself for a while” game. There are 45 levels to choose from and it you can even edit your own. Hidden Mickeys: Now the last app I want to discuss is Steve Barrett's Hidden Mickey's. Yes, this one is only really good while you are in the parks. Now I say that, yes, you can use this app anywhere; however it has been designed, much like the book of the same name, to be used in the parks. I have traveled with the actual book before and really enjoyed the hunt. Now with the iPhone app and the use of location technology, it is a more interactive and immersive experience. You earn points for finding the hidden Mickeys. It comes in at $5.99 on iTunes. I like this app because it makes you examine the lands and attractions a little more closely than usual. Regardless of your type of phone or handheld game, please use them wisely. Please step to the side if you feel the need to stare at your phone more than your surroundings. Just have a little decorum and try not to impede the flow of traffic. Disney is a busy place and I like to use my phone, almost too much, but I will always get to a stopping place before being lax about where I am going. You never know when the international double wide strollers of death will dart in front of you or knock your heels off. Do you have a favorite time waster? What is it and where do you use it most? Yes, I love Angry Birds! I also love Words With Friends and Word Warp! Good time wasters! I have 100+ apps on on my iPhone 30 are just games. I call them all time wasters but now that netflix is out for iPhone, nothing is getting done at work.